This fist picture is of Renny in his fly sheet and his fly boots. He has to wear all this so that the flies cant get him as much. 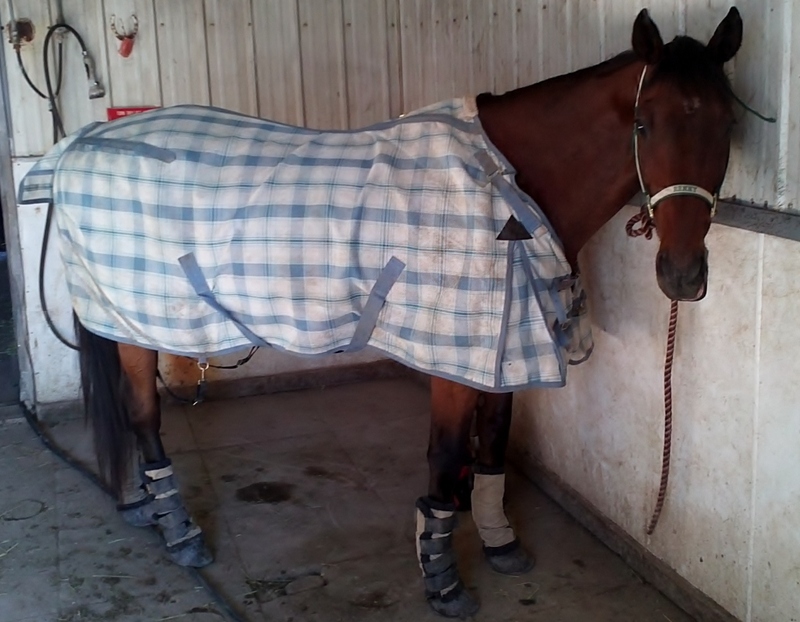 The "clothes", as we call them, also help to keep mud off and its harder for other horses to bite him as much. 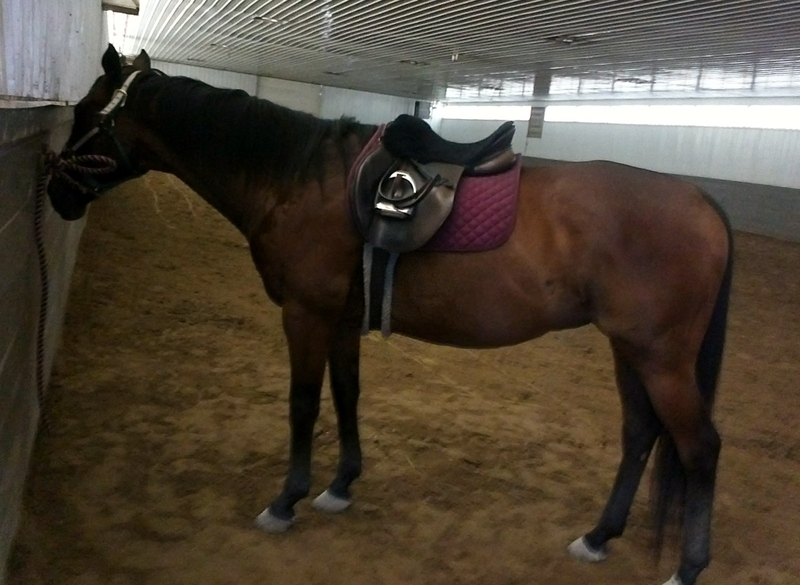 This is a picture of Renny in his english tack. You can sort of see in the background, the indoor arena we have to ride in. This is Renny in his new fly mask. He had a cut near his eye so we had to put this on him to keep the flies off it. 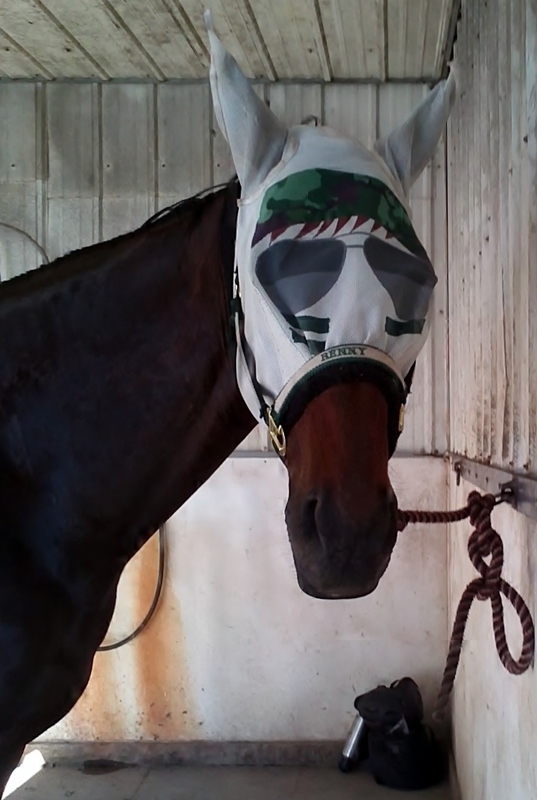 Though its hard to tell, he can actually see through his fly mask. That doesn't mean he likes to wear it though!